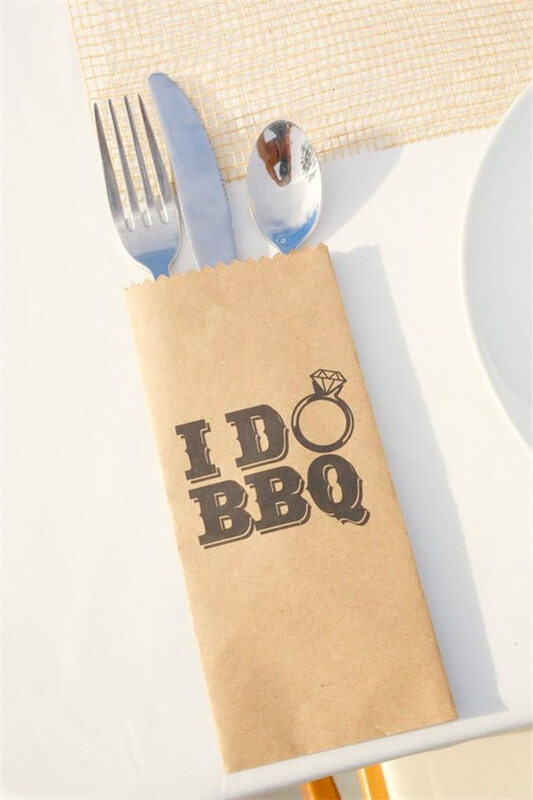 Having a BBQ wedding is not only stylish but also budget-friendly. 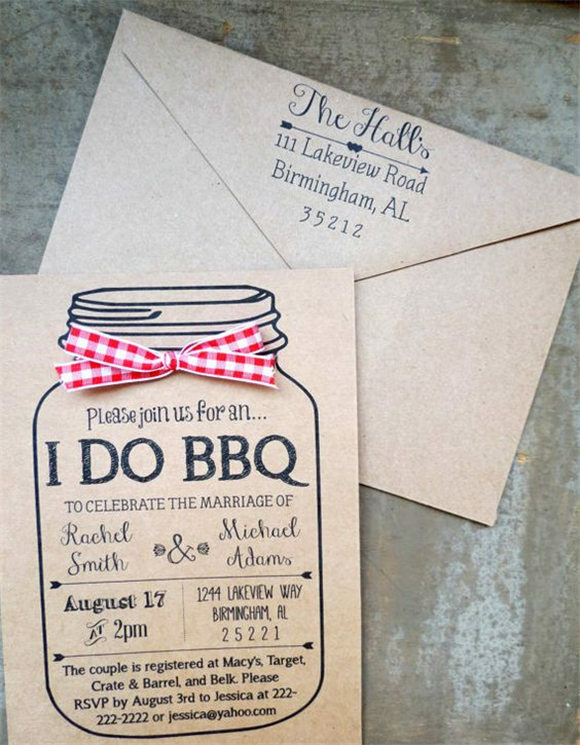 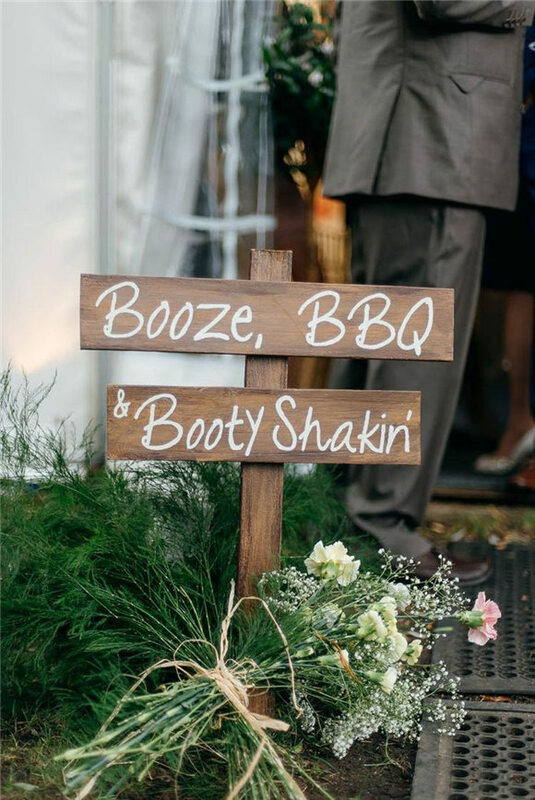 If you and your fiance are fond of natural country life, a backyard BBQ wedding will be quite fun. 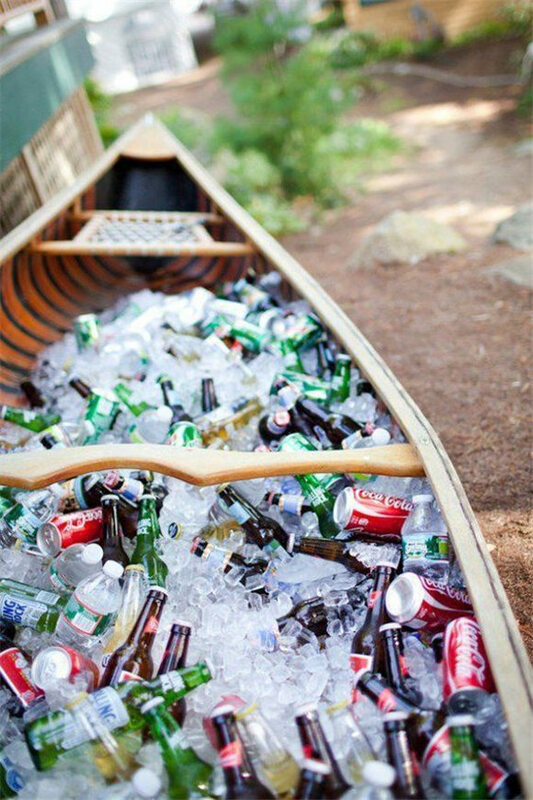 It’s a great chance to get away from busy city life and time to enjoy the casual and free party time. 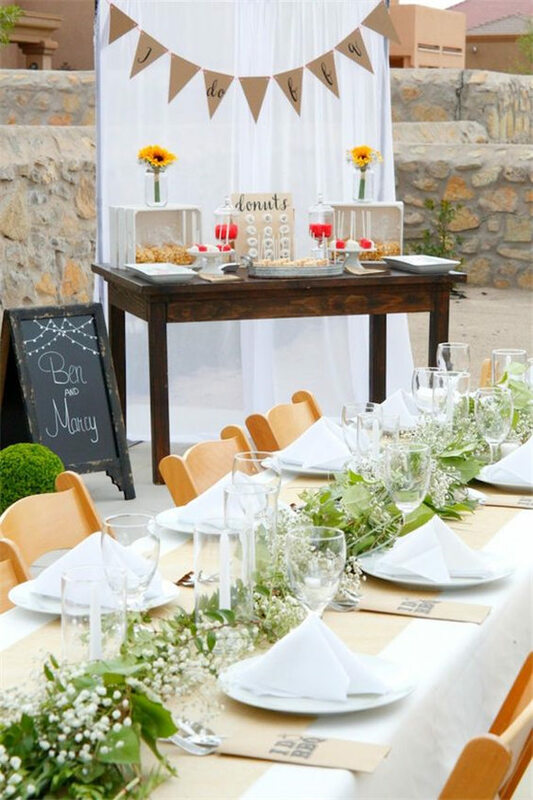 Having Friends and families gather together celebrating your big day in the familiar backyard will make your wedding more enjoyable and memorable. 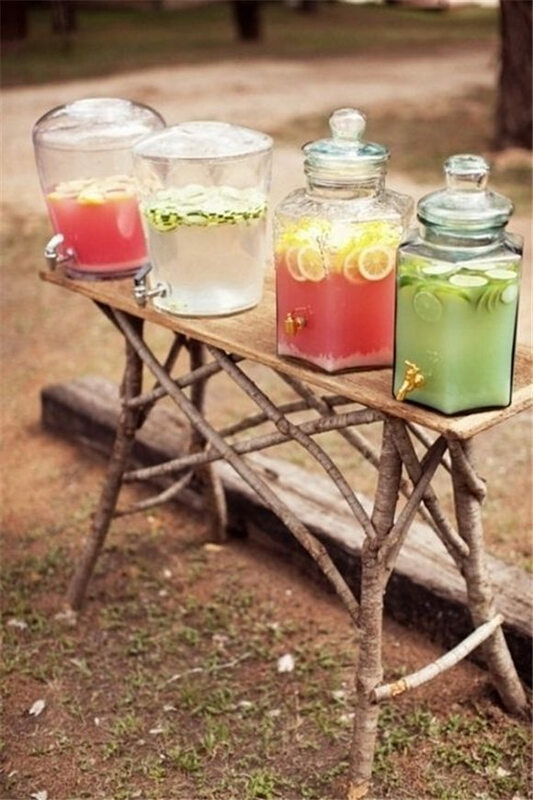 Instead of sticking with the traditional color schemes, go with creative and bright colors in a beautiful sunset. 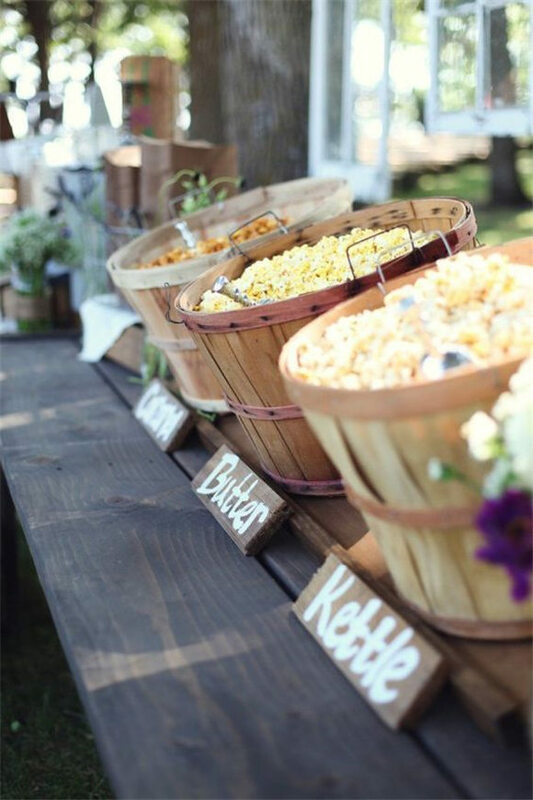 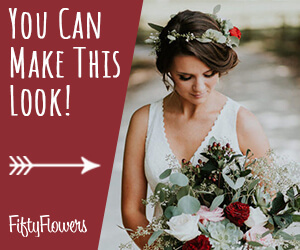 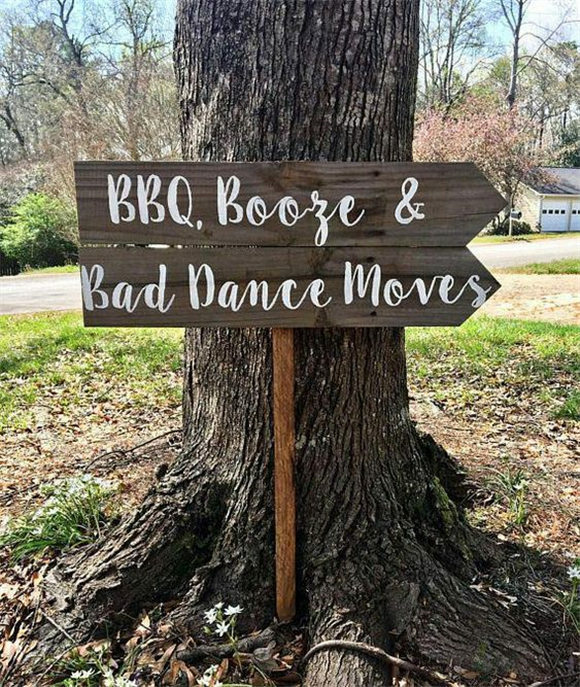 Or simply you can go with earth tones or natural colors that go with the surroundings like green, blue and pink.The most suitable decorations are mason jars with wild flowers, funny beer barrow with cool drinks, hay bales and wagon wheels. 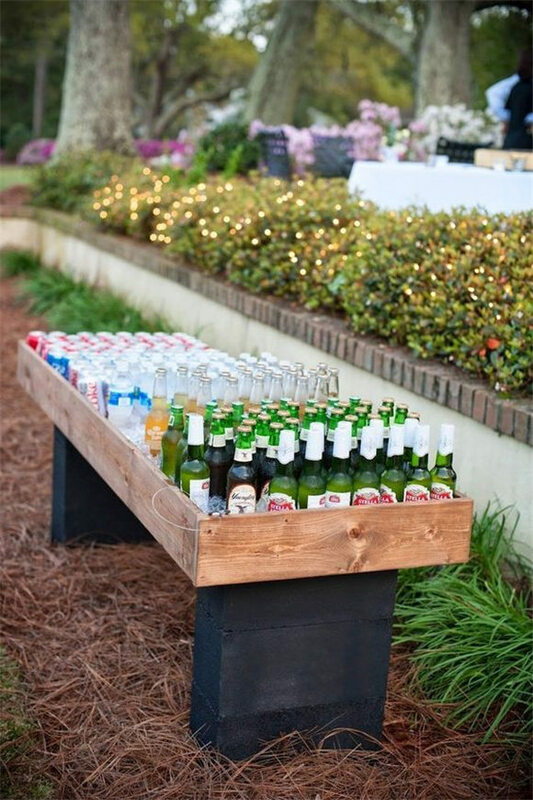 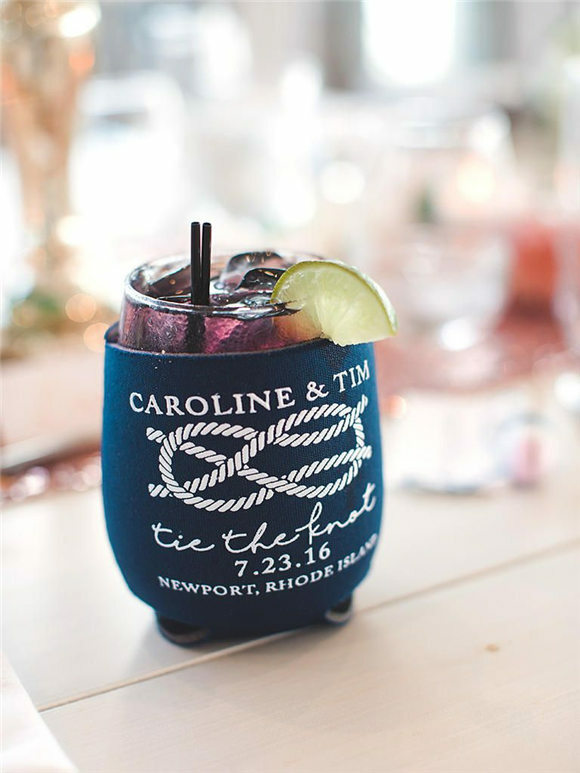 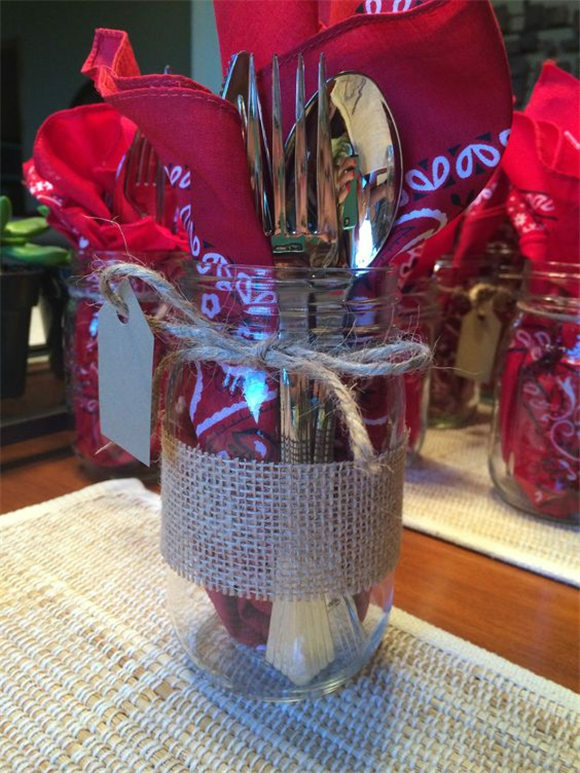 They help add a touch of casual country style and your guests will enjoy the reception better. 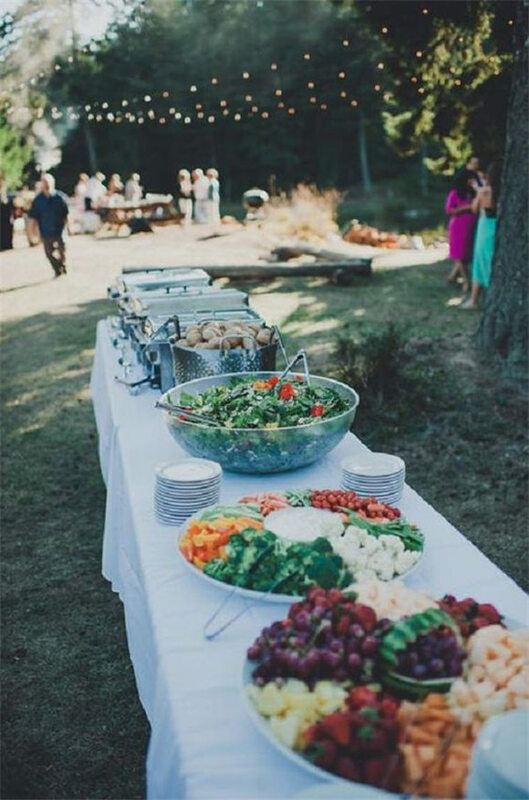 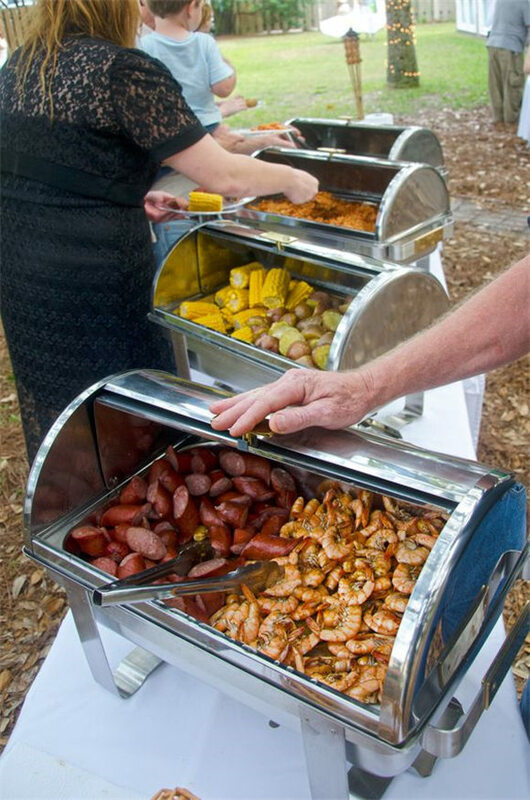 Since it’s a outdoor event, to make your guests more comfortable, you can simply choose buffets instead of having formal reception tables. 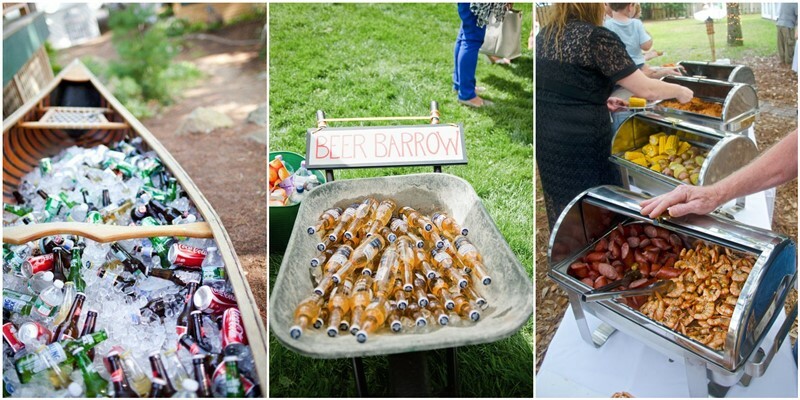 People can get whatever they like and you can save some budget. 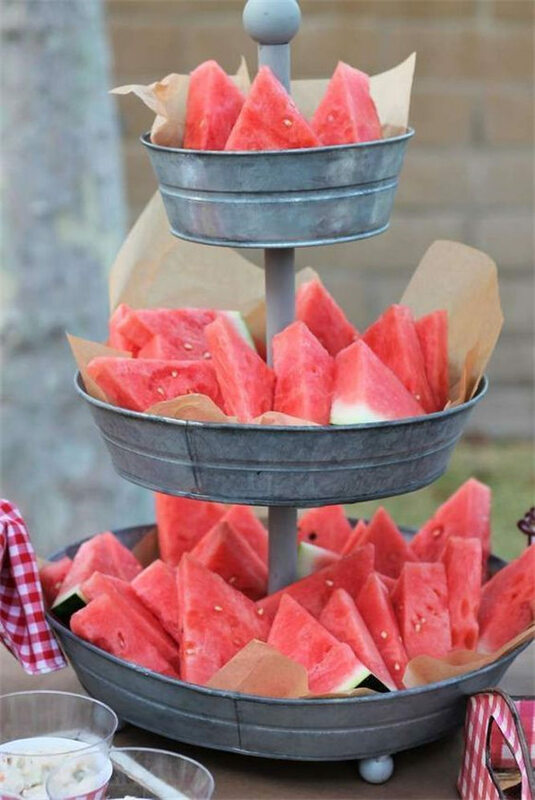 As for the wedding cakes, you’d better choose yummy and delicious pies to replace the formal costy wedding cakes. 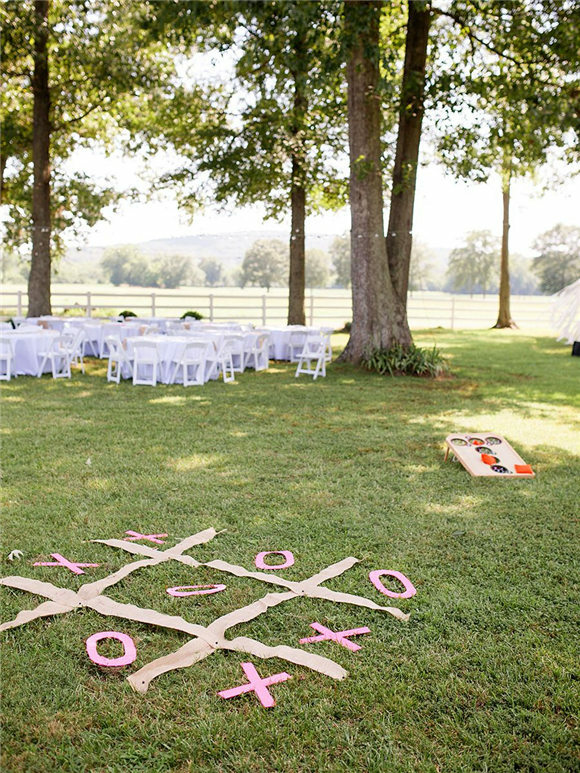 In a word, just think it’s a big party with your personalities, do not be afraid of to be creative and you will make your wedding one of a kind. 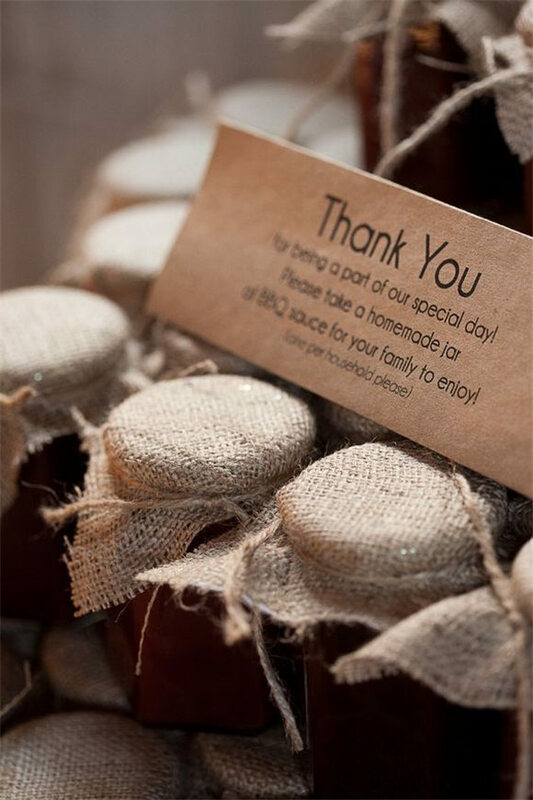 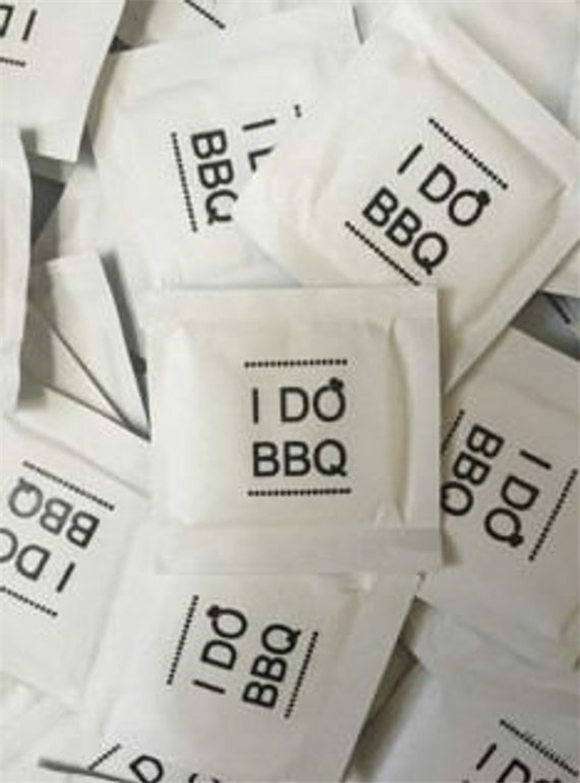 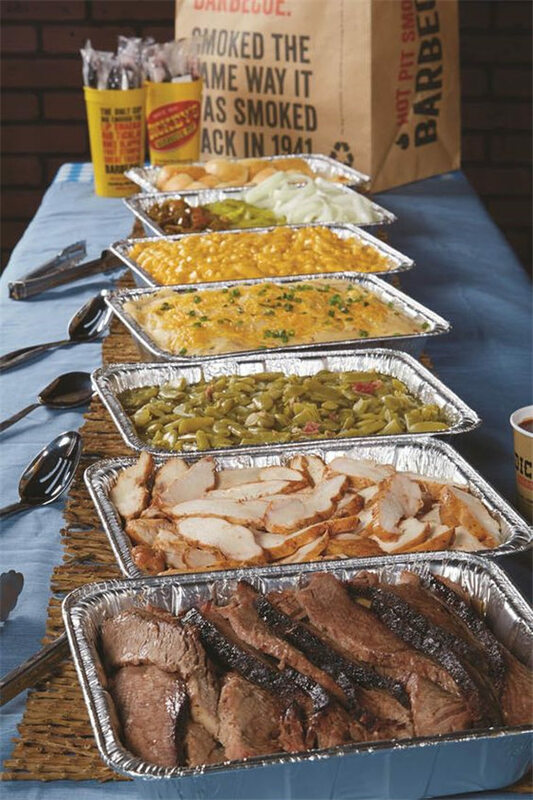 Your guests will of course enjoy your BBQ and will not forget about it for some time. 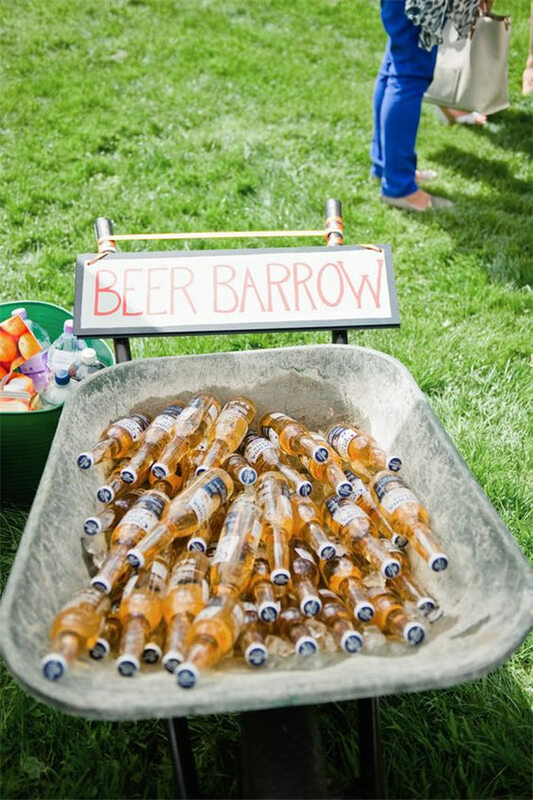 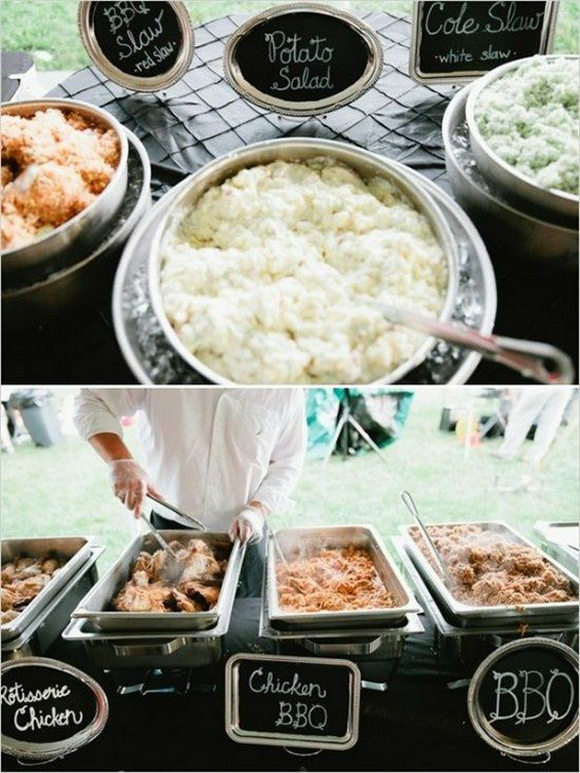 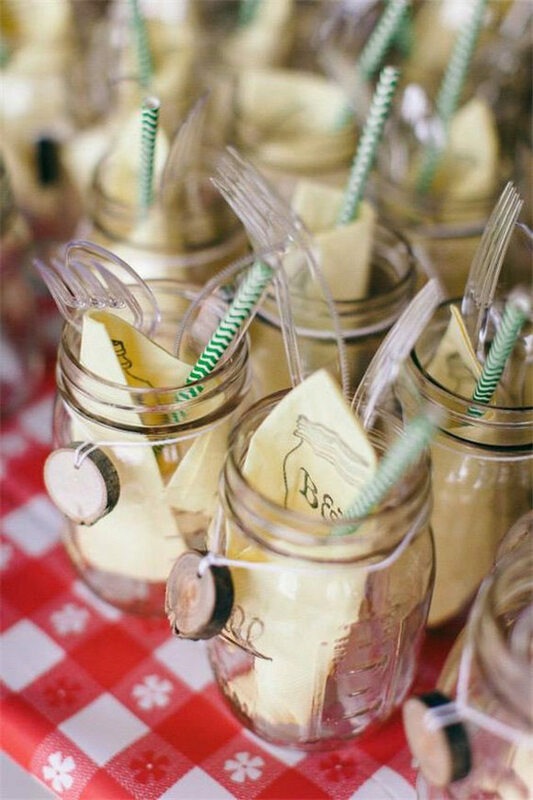 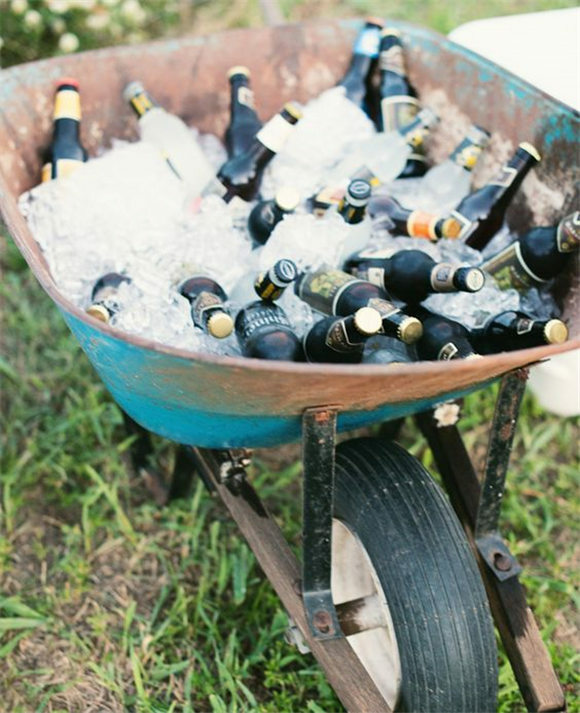 Here are some great ideas about having a backyard BBQ wedding, hopefully you will get inspired! 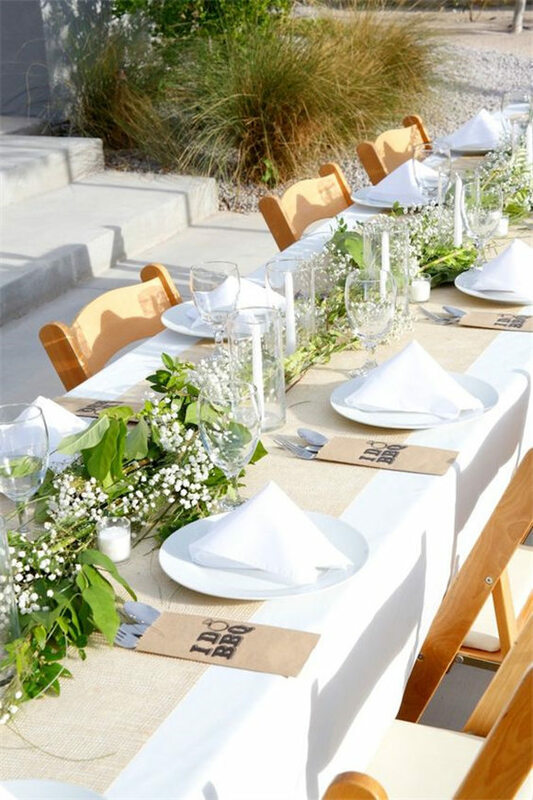 It’s a fresh and modern take on backyard style. 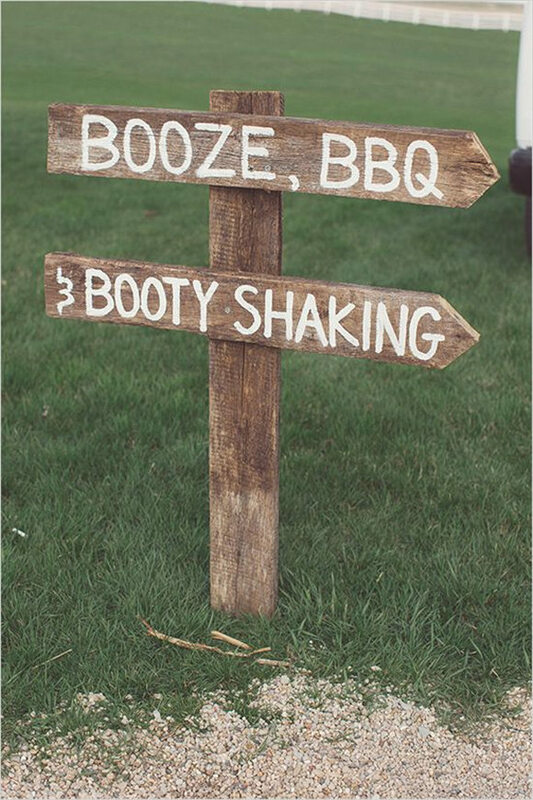 BBQ in beautiful wine country here we come!